ARTICLE:How to put a stop to the "cop in the head"
Are the cops in your head getting the better of you? By ” cops in the head” I mean the voices in your head that tell you it would be a really bad idea and REALLY UNCOOL if you said or did what you wanted to say or do. And afterwards you chastise yourself for not saying or doing that thing – because it was really IMPORTANT that you said or did it. Or maybe you long to “let your hair down” and go a bit crazy once in a while – but something in you stops you from letting yourself go in that way. And this means that you are holding back in life in general that is effecting your career prospects and what you know you could be doing with your life. This article was inspired by Yvonne, a member of a past Breakthrough Group, who sent the amazing Bowie video (below) to members of the group after witnessing the “Breakthrough” of Dede – a young African man who was at that time frustrated because he couldn’t express himself in the way he wanted to for all the reasons above. I was WOWED BY BOWIE in this video for very different reasons – on top of the fact that Dede’s Breakthrough had been incredible – on top of the fact Bowie is an amazing performer – or any other reason for being WOWED BY BOWIE. I was WOWED BY BOWIE because in this video he shows us what happens when we let the “cops in the head” gets the better of us. And therefore how we can stop them. Augusto Boal*, a brilliant Brazilian theatre director – first coined the phrase “cop in the head” meaning the “policemen in your head” that SCREAM IN YOUR EAR that there will be dire consequences if you should say or do what ever it is you want to do and say. And when you show any kind of desire to ignore their commands, they scream even louder and fill you with panic – until you have no other choice than to stop. And stop you do. The “cops in your head” have very good reasons (they think) for needing to issue these warnings and their voices and advice seem very compelling. They are not the kind of voices that you can ignore. (*See more about Boal below.) This is experienced by many people. In fact it is generally experienced by the “nicest” people. The only trouble it often gives other people opportunities to take advantage of you – because you are not expressing what you want to express to them and are generally holding back what you truly feel. As a result you are aware that other people are not getting to see the “real you” – but a socially acceptable you that is fooling everybody. If you watch the intro of the Bowie video above, as Yvonne suggests, and you’ll see why I think Bowie’s performance is so amazing. You will see Bowie shadowed by two security guards who watch his every move – and are not letting him get too far away from them. These guards are like the guards (the cops) in your head that are watching your every move and are making sure you don’t do anything that would make you look foolish or would attract unwanted attention from the people who might judge, criticise or ridicule you. This is what Dede experienced and he was absolutely sick of it. Like Bowie’s guards, the guards (cops) in your head are doing a very good job of keeping you safe and out of harm’s way. (As a big star with a huge following Bowie needs this kind of protection.) The trouble with the cops in your head is that not only do they seem very convincing, and reel of instances when you have suffered appalling humiliations as a result of ignoring their advice, but they sound like your voice. In FACT they are YOUR VOICE!! We see the “cop in the head” brilliantly portrayed in Bowie’s video – in the form of the security guards who form a tight circle round Bowie and stop him from doing from what he wants to do – to reach out to his fans. We all have these “cops in the head” that are keeping us away from what we really want. And whilst these cops believe they are acting in our best interests, in fact all they are doing is keeping us small, stuck and contracted – even when we know better than to listen to them. And they are bruisers these guys. Bruisers and bullies and they just won’t let up. They are constantly on patrol and never take a day off. “But I don’t want to be protected” you say. “Just leave me alone”. But the cops in the head don’t listen – or maybe can’t. They are too intent on doing their job. It seems the more you try to make them go away, the more they stick around. So how do you shut the cops up so you can get on in with your life – and maybe start to enjoy yourself a little? “Now you know this ain’t always the right thing to do”. Yes we all know there are things that are not right to do – this is exactly the problem. It’s all those messages you’ve absorbed from parents, teachers, friends, enemies, bosses, governments and society that tell you what you should and shouldn’t do – and that is why the “cops in your head” have got such a secure hold – because you have probably had some quite horrible experiences in the past that are the very reason why the “cops” will not leave you alone. …implying that although we might know what’s the right thing to do, we don’t always do it. Now we’re getting to it. We don’t always do what we’re supposed to do, now do we?!! Like Bowie, Dede had an intense desire to break free of the “cops” – all the conditioning that was keeping him on a tight rein. As a musician, Dede wanted to let himself go when he was performing, but he also wanted to whoop, and cry out and go a bit crazy when he was out with his friends – or when he just felt like it. He saw others doing this but this was what he just couldn’t do. Your inner fans are rooting for you all the way – just like Bowie’s! When the desire is intense, as Dede’s was, Breakthrough is inevitable. Dede knew how he wanted to be. He just needed a space where he could express that part of him without anyone telling him he was looking an idiot and sabotaging his new found freedom. This is powerfully expressed by the way Bowie throws himself into the crowd. His guards (cops in the head) of course drag him away from his screaming fans who by now are at a pitch of excitement. The “cops in the head” are not going to stop just because you want to get free of them. In fact this often makes them more determined. We see Bowie time and time again breaking free of his guards and throwing himself again and again at his fans. The guards do everything in their power to keep him away from his fans for his own good – like a mother of an adventurous toddler keeping him out of harm’s way. Breakthrough is an all or nothing business. You have to move towards Breakthrough with everything you’ve got. Even though the “cop in the head” may be screaming in your ear that it won’t work, or it won’t work for you because of …… Dede knew exactly what this felt like. He no longer wanted to be constrained by his internal cop in the head. He was ready to break free – and the moment he walked into the group he declared how determined he was – even when sometimes it was challenging. Over the course of the twelve weeks and with the support of his fellow group members, Dede had opportunity to had opportunities to stretch out of his comfort zone bit by bit so he was letting more and more of his true self out. 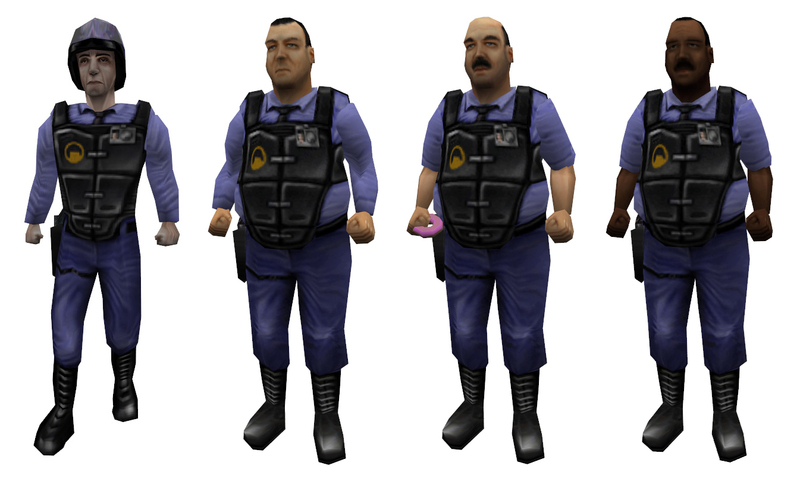 One of the first things we do in a early stage of the group is to send the “cop in the head” packing. Of course the “cop” is going to want to come back – but you will learn a simple technique that will make it easier to keep the “cop” at bay. Because with persuasion he will leave – just as Bowie’s guards stopped. The “cop in the head” is not a prison sentence. It was something you involuntarily created way, way back (to protect yourself from hurt) – and at the time it was a good strategy but now you no longer need it. One of the things that was outstanding about Dede was the support he gave to other members of the group. If someone was away he would send them a thoughtful text or email. One group member called me up and said she didn’t know who had contacted her but she was going through a tough time and Dede’s text made a huge difference to her. Dede was not only wholehearted in his his willingness to support himself and others too – so no wonder he made such startling progress. When it came to his “Breakthrough” (the major process we do half way through the course) Dede was ready for the bigger shift – the shift that was going to make a BIG DIFFERENCE. In his Breakthrough Dede got to witness the parts of himself that were holding him back – very familiar parts . However seeing these parts (the cops in the head) played out literally “blows a part of your mind” – because when you meet the “cop in the head” and recognise it for what it is, there is something that seems to melt. The cop comes out with his hands up. When this is also followed by the ability to take action this can get to those very deep parts that created “the cop” in the first place. Most people when they experience this shift can feel something breaking free within them. It is often felt as deep physical sensations or the person may feel “unreal”. For Dede this happened in a split second – and he could celebrate his free self along the rest of the group – who all had the opportunity to “let their hair down”. The joy and freedom that was expressed by Dede was as exciting as Bowie’s video. You will get a feel of it in this photo. As it was commented by one group member recently, after the Breakthrough the shift is clearly visible in the person. They may appear more relaxed, more at ease in themselves, more alive or as if a weight has been lifted off them. When this is achieved, the “cop in the head”, like Bowie’s guards, is no longer the em-prisoner. We see this in the video when the guards stop trying to protect Bowie and pull a “fan”* out of the audience and encourage her to dance with Bowie. The “fan” represents that part of you – that is willing to get free. At first the fan is overwhelmed by the challenge before her, she doesn’t believe she can do it, her nerves get the better of her. She falls on the floor many times – but she keeps on picking herself up – and eventually her confidence grows, and as her confidence grows she begins to enjoy herself. As she enjoys herself, she starts to shine – and like a bird she is released from the cage to express her true self just like Dede was. And when she sets herself free in this way she begins to WOW herself – and is amazed at what she is able to do. This is what naturally follows when there is no “cop in the head” to order you around – AND YOU ARE FREE TO BE WHO YOU REALLY ARE. When the “cop in the head” no longer sees that protection is necessary – it becomes the “empower-er” – and it will help you to achieve even more freedom. Freedom you never knew was possible. You can say goodbye to the bullies, the horrible experiences and all those however well meaning influences that have kept you in chains. Now you are free and so are the “cops”. This is what Yvonne saw in Dede. She saw his desire to free himself and his capacity to claim that freedom. And Dede being Dede just keeps on going from strength to strength. He wrote to everyone a month after the Breakthrough Group ended saying that he was even more confident than when he was during the course – and full of generosity and encouragement for everyone else. So I can very easily imagine Dede expressing his natural happiness and spreading it to everyone who comes near to him. 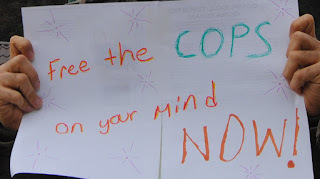 I hope you find this article insightful, and it will enable to come more aware of the “cop in the head” so you can stop it from getting the better of you – and you can start to free yourself as Dede did. Like Bowie’s fans I am rooting for you all the way and I celebrate your success with you. Want to break free? If this article has intrigued you, inspired you or if you have any questions, or there’s something you’d like to share please do leave a comment. Your comments may inspire others. Or you may like to join one of my upcoming confidence courses and learn how to stop the cop in the head from getting the better of you. The I Don’t Know What to Say improvisation course is particularly effective for getting out of your head. NOTES *Augusto Boal developed a style of theatre which he called the Theatre of the Oppressed as a result of the oppression he had experienced at the hands of the military regime that seized power in his country, Brazil. He was kidnapped, arrested, tortured, and eventually exiled because of his teachings. His life’s work was about helping people who were suffering this kind of oppression free themselves. When he came to Europe he was surprised to see that whilst Europeans may be free of the extreme political oppression that he had experienced, however exactly the same kind of oppression was going on in their own heads. The “bad guys” were no longer out there…. but inside them. And he discovered that it is in many ways much easier to fight the “bad guys out there” however evil and destructive they may be – but fighting the “bad guys inside the head” was a lot more complicated. When the “bad guys” are inside you they actually are a part of you – so in fighting them, you are fighting yourself. In other words – you are you own bad guy! And that can have a very undermining and dis-empowering effect. Boal called these “bad guys the “cop in the head” – the internalised oppression which is stopping you from doing what you want to do or saying what you need to say, often because there are discouraging voices and experiences from your past that are hindering your actions. **The “fan” is of course not a real fan but one of the dancers on the show. It is what she represents that’s important. That potential self that is just waiting in the wings for an opportunity to come out! ← Article: Is it the Nasty People who get ahead? The power of natural authority. Watch the BANG BANG BOWIE VIDEO - even if you're not a Bowie fan and free yourself of the cop in the head - and begin to enjoy life!